As part of Westport Academy’s “People of the Word Showcase,” eighth-grade students photographed classmates at the Boys and Girls Club in the same spirit of Gordon Parks’ iconic photograph, “American Gothic,” of Ella Watson. Carole Boston Weatherford’s book, “Gordon Parks: How the Photographer Captured Black and White America” was one of the 10 books chosen by school community to build arts activities around, pictured above. As I reflect on my first year of teaching in New Orleans, I think about what brought me back to education: Baltimore. During the year I spent in Baltimore, I had the privilege of partnering with educators in Baltimore City Public Schools as part of the arts-based literacy program I was coordinating called People of the Word. The program was based on the idea that we are stronger together. The community – including parents, teachers, school and community partners – would choose a culturally-responsive book set that would be utilized through arts activities in that variety of settings, from the classrooms to spaces in the community. This pilot program illuminated, to me, not only my ardent desire to get back into the classroom, but how much family and community engagement is a part of a school’s success. I brought this lesson into my first year in New Orleans, and struggled to implement consistent systems for involving families at a school that faced deep problems beyond low family engagement. Starting this upcoming year at a new school with better systems in the same community, I am determined to serve our families better. The Westport Gordon Parks-inspired Black Lives Matter portrait series was created by two eighth-grade students at the Boys and Girls Club, Wanya, Jalyn and one ninth-grade student, Daishell. Using a book from the Westport Academy book set by Carole Boston Weatherford, “Gordon Parks: How the Photographer Captured Black and White America,” as a springboard, the students explored both Gordon Parks and other significant contributors to the rich history of African-American photographers. After a scaffolded learning process around technical knowledge of cameras, elements of photography, and Gordon Parks’ mission of social justice that drove his work, they explored local photographers doing similar work today, such as Devin Allen. The students then came up with the project idea to photograph all of the students at the Westport Boys and Girls Club in the spirit of Gordon Parks’ “American Gothic,” photograph of Emma Watson to tell the stories of Westport’s children. At the end of the year People of the Word art showcase, they created a Black Lives Matter exhibit, displaying not only their own photography but also Gordon Parks’, as well as collages of African-American victims of police brutality. As I continue to educate myself on best practices and inspiring stories of teachers and schools doing it right, I ended up looking back at our People of the Word, Gordon-Parks inspired photography project in Baltimore, and feel even more motivated to find opportunities to bring arts, literacy and community mindsets together. There are many more beautiful photographs the students shot, but this is a small sample of the work they did. Never doubt the vision and power of America’s youth! I have so many happy memories of International Women’s Day from where I’ve traveled and lived, from Kazakhstan to the Middle East. I love that there is a day globally to celebrate all women, and unlike in the United States, you don’t have to bear a child to get some flowers. In my reporting over the past couple of years, I had the opportunity to celebrate and tell amazing women’s stories. I picked just a few of my favorites posted below. Happy Women’s Day to all the incredible girls and women in this world! 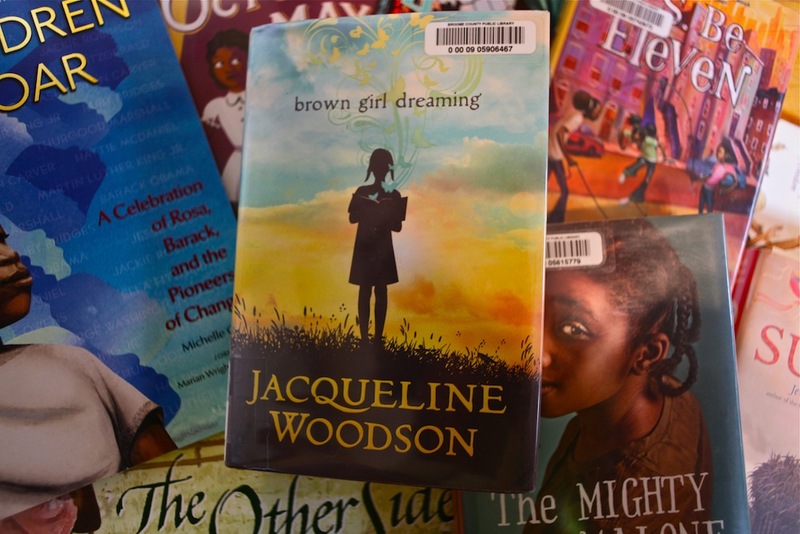 As part of my research, I have been reading African-American children’s and Young Adult books. I just finished Brown Girl Dreaming by Jacqueline Woodson, which is a must-read memoir for any person who appreciates language and unique storytelling style through the eyes of a child. I could fill this post with all of the simple truths that she gets across through her beautiful verse, but when I read the chapter, “the promise land,” I thought it really epitomized humanity’s experience and search for meaning, as well as young Jacqueline’s journey in finding her truth in a complicated world. a small black kufi on his head. and the strength of all Black people. he calls the Promise Land. It’s out there in front of you. One of the many difficulties of being a freelance journalist — and there are many, take a look at this on-point article about it — is when an editor accepts a pitch, then once you have produced the story, they decide that they no longer want it, or because of unforeseen issues, can no longer publish and therefore pay you for your work. This hasn’t happened to me often, but unfortunately, it did with the piece below. However, these inspiring mothers told me their stories and though I won’t be getting paid for this, I still wanted to share. I hope you can be as moved by them as I was when I was reporting the article. All mothers have the difficult and awesome responsibility of raising the next generation, but there are some whose inspiring stories stand out: women who defied familial and societal expectations and biases to follow their heart and their dream to create a family. These are women who never let a disability stand in the way of what they wanted for themselves. Women who refused to hear no. There are stories here from women in the United States and in Lebanon. Fundamentally, though these two countries are wildly different, when it comes to being a mother with a disability, they are tied together by their similar determination to prove to people what should already be known: a disability does not mean that your ability to parent is affected. 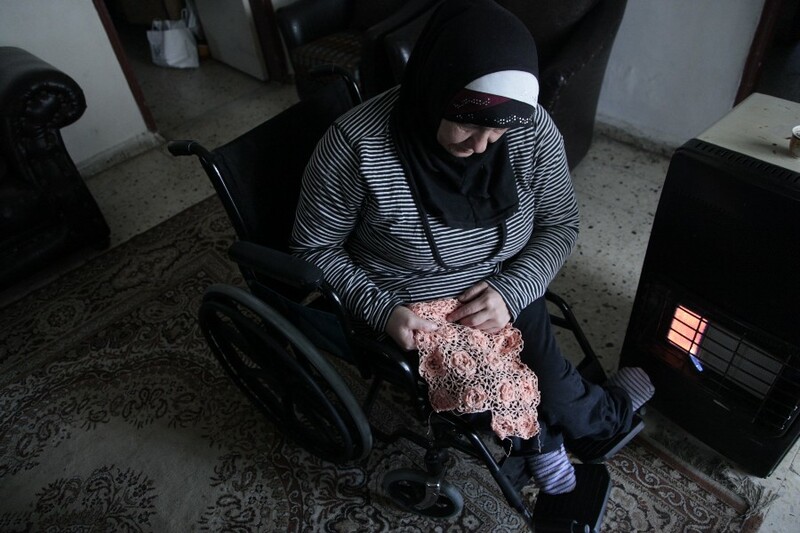 In Lebanon, the situation is challenging for people with disabilities. According to a 2011 report by the World Bank and World Health Organization, about 15 percent of the people in Lebanon have a disability. This is a number from before neighboring Syria’s civil war began, which has resulted in more than 1.1 million refugees now living in Lebanon. Among the refugees, 1 in 30 have been injured by war, according to a 2014 report by Handicap International (HI) and HelpAge International. 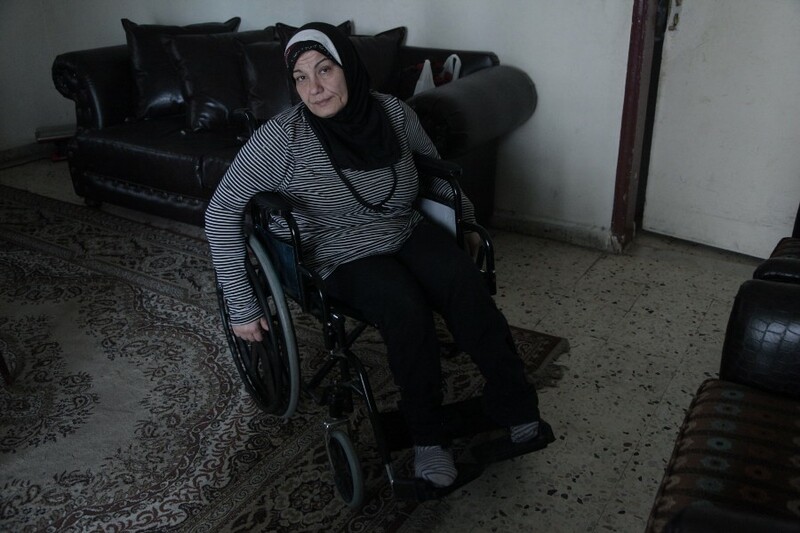 In addition, 20 percent of refugees in Lebanon have some form of impairment, with 5.6 percent having a severe type, which puts the numbers of people with a disability in the country even higher. When one talks about disability discrimination and women, they have to first start at gender discrimination, then go from there, says Sylvana Lakkis, Director of Lebanese Physical Handicapped Union (LPHU). “In the society in the Middle East, we have inherited this culture that differs in roles between men and women. People think that a man’s role is to bring money and a woman’s to produce children and raise a family. Based on this, when a woman becomes disabled, people think that she can no longer fulfill her role that is meant to be: to raise children and have a family. When we talk about gender discrimination, it starts from there. But when we then talk about disability, it doubles and triples sometimes,” Sylvana says. Despite these challenges, there are many women with disabilities who refuse to let obstacles keep them from raising a family. 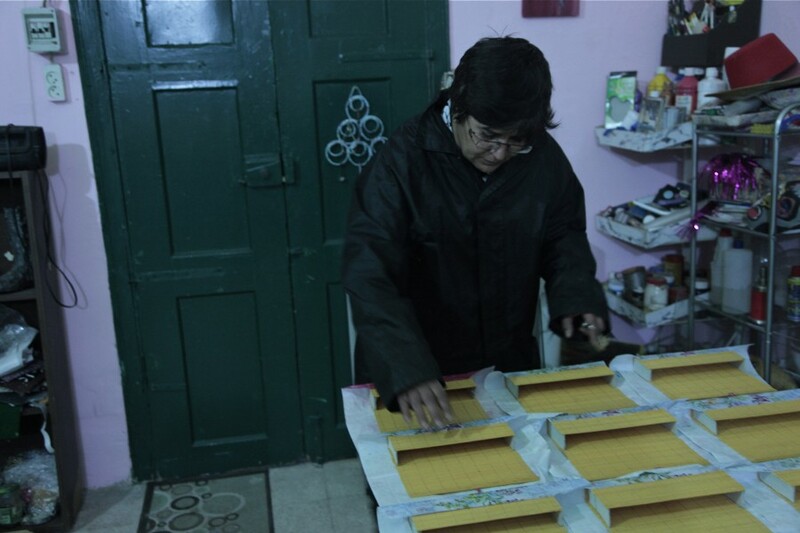 Rowaida Alam started to have trouble with her vision when she was 14 years old. By the time she was 15, she could no longer read and had to drop out of school. In the two years that followed, she refused to go out or to see anyone, unable and unwilling to accept the fact that she had lost her sight. These were the darkest of Rowaida’s days. It was a family friend who had a son with a similar condition to hers, retinal degenerative disease, who finally convinced her that she had a life ahead of her, if only she were willing to go out and live it. 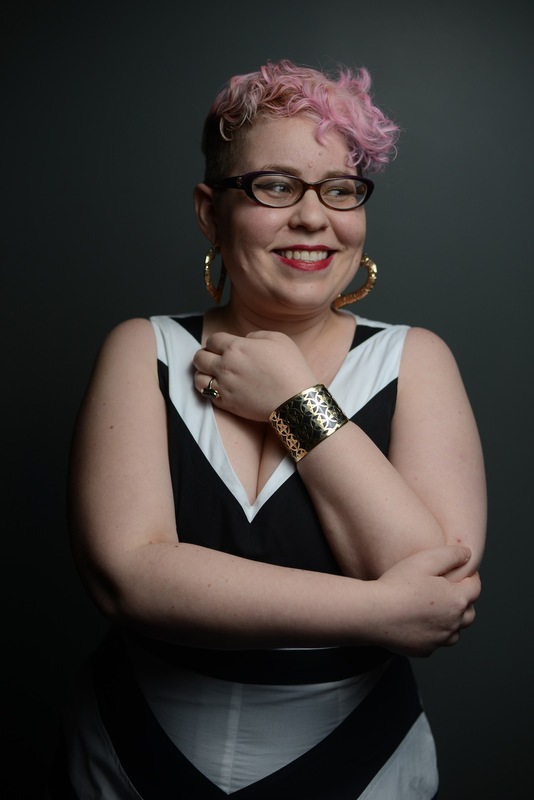 “After two years, I came to terms with my disability. I was born again, a new person again. I started progressing. I became really motivated to take back that lost time. Then I didn’t even want to sleep, I just wanted to learn,” she says. It would be ten years later when she was 25 that she would marry a man, Ahmad, who would not allow his family’s concerns to stop him from being with Rowaida. In that period of time, she finished third in Lebanon in her baccalaureate studies and as a result, was awarded by the late Prime Minister Rafik Hariri. She got her Bachelor’s Degree in Arabic Literature. 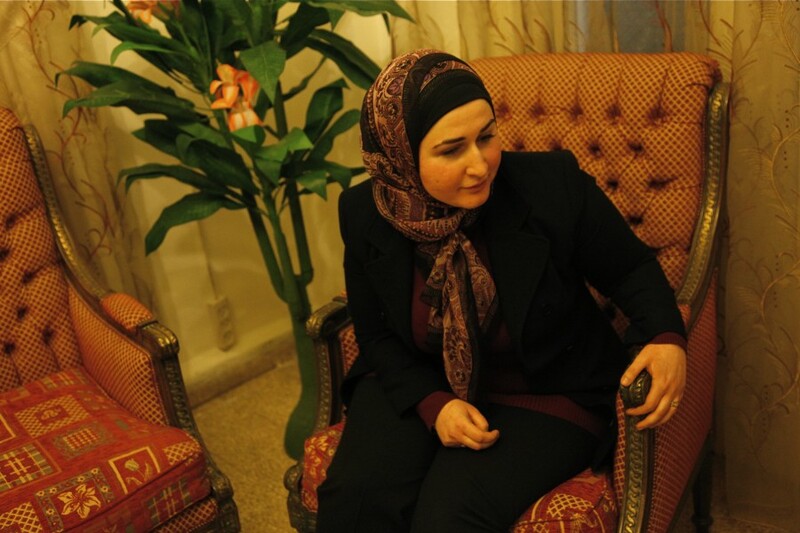 She was also pursuing her Master’s Degree, but after she got married and pregnant, it was too difficult to keep traveling outside of Beirut for her studies. They had the first of their two children, Farah, who is now six years old. 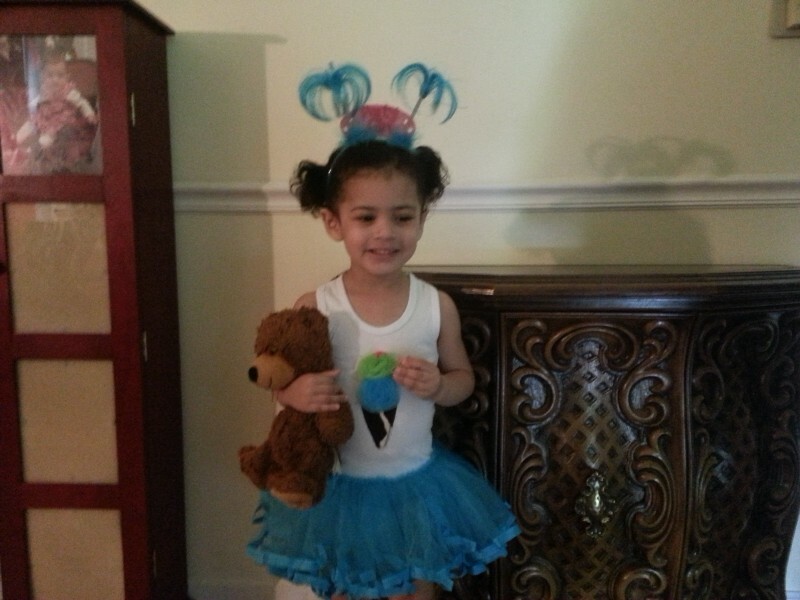 Rowaida’s mother, Doha, said her and her husband Zouheir were nervous at first, but that Rowaida’s determination and character soon convinced them that she would be a wonderful mother. “That’s what hurts the most, when people think I can’t take care of my children,” Rowaida says. “I give triple the effort to offer my children the best for their life. Even though I proved myself with the first baby, some people still don’t trust me. It is hard-wired into society. It is not going to change any time soon, it needs generations,” she says, though not bitterly. The main thing Rowaida worries about now is finding a job. Education and working has always been very important to her, but she says every time someone finds out she has a disability, they close the door on her. She has gotten internships with the help of LPHU at media outlets An-Nahar before and now at As-Safir, but these are only short-term. “I am not very optimistic that I will find a job, but it is my dream. Especially now that I have children, I am more obsessed with this. It’s my sole worry,” she says. She emphasizes though that a disability, or any other issue, is not a deterrent to having the life you want. “I want my story to inspire people. I want to say that your will is your only obstacle,” she says. Tofaha Khalil is a 35-year-old mother from Aleppo, Syria. She lives in Merkabta, near Lebanon’s northern city of Tripoli, in a small informal tented settlement with 11 other families, and her family of six. She, her husband and her then three children at the time left to come to Lebanon about a year ago because of the danger of the area they were living in at that time. Tofaha had gathered her four children in the house when she heard shelling. A barrel bomb hit their home and her 5-year-old son, Omar, was killed instantly. She also lost sight in her right eye in the explosion that destroyed their home. Tofaha retold the story, and then began to talk about her mother, who died a month ago in Aleppo. Tofaha wanted to go back to pay her respects, but due to the recent law in Lebanon that strips refugees of their status if they travel to Syria and back to Lebanon, she was unable to. She stopped for a few minutes, unable to go on as she wiped tears from her face. The pain in her right eye is constant, and she has trouble focusing, which she says makes caring for her children and her work gathering vegetables at the nearby farm more difficult. Despite this, she continues to work to support her family, and has even taken on a leadership role in a committee facilitated by the Norwegian Refugee Council and run by the refugees in the settlement themselves where she is responsible to representing women with special needs. Despite her hardships and pain, Tofaha has hope. 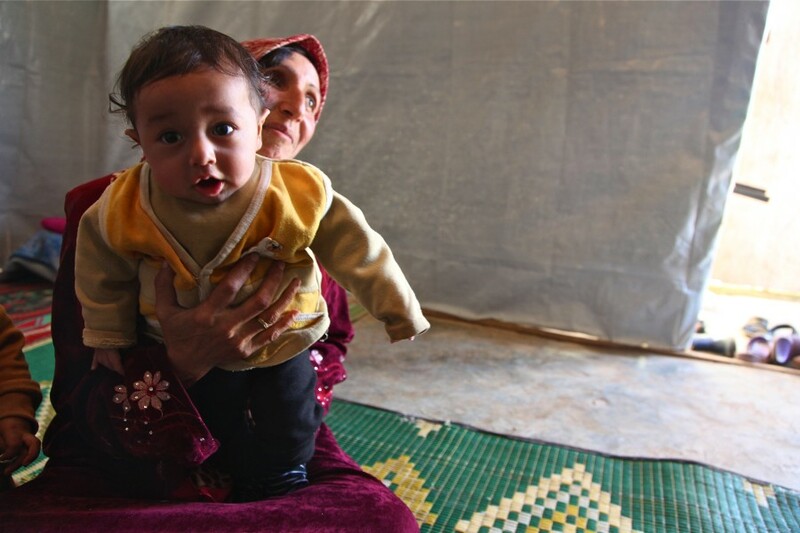 She has hope that she will be able to go back to Syria someday and she has hope in herself as a mother. Four months ago, she had a son. She named him Omar. Hiam Bakr has been working with people with disabilities for 25 years. She started at LPHU and she is now running her own center, Darb al Wafaa. As part of the center’s work, she supports people with disabilities make extra money by helping them make and sell their handicrafts. In the small center in Beirut’s southern suburbs, shelves are piled high with handmade jewelry, baskets and purses in-process for Mother’s Day. Hiam agreed to take me to see some of the mothers she works with in the area. Zipping through different parts of the area on her motorbike, we first stopped in Ouzai to meet Hanan Alam, 49, who lost the use of her legs and has spinal problems due to contracting polio as an infant. 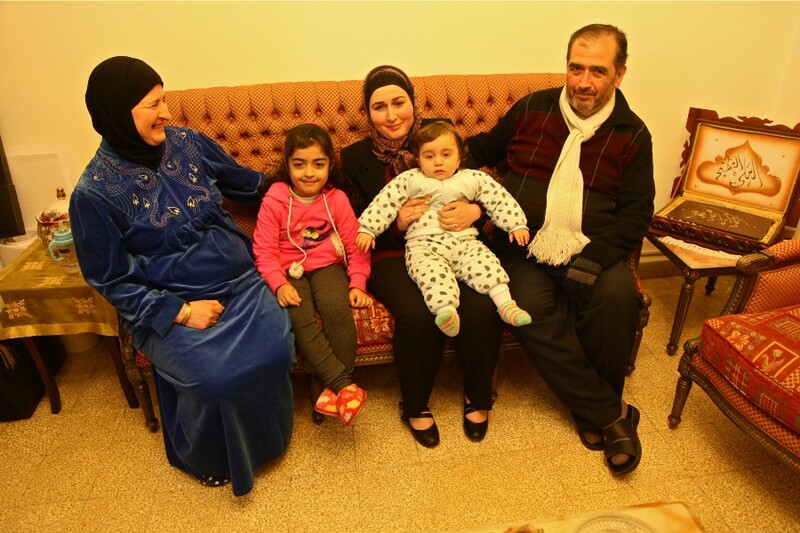 Hanan has been married to a Syrian man for 25 years, and in that time, they have had three children: Hassan, 25, Fatima, 19 and Salaima, 11. Hanan talks about in the beginning how it was difficult with Hassan, until she learned the best way to do things. “When he was young, I was worried he wouldn’t learn how to walk and play like other children, because I could not show him. But he did, and I was so happy,” she says. After Hassan, the next two children were much easier for her, and as the children got older, they were able to help more as well. She said she faced some discrimination from neighbors, who could not believe she could be a mother and a wife while being in a wheelchair. But she does not let what others thing affect her. “I took my son to the sea and played with him. I take him to a party and I dance with him. I am like you, I am a woman, I am a mother, I can give my children anything they need. I dreamed always to hear the word ‘Mama.’ When I hear, ‘Mama, I love you,’ it is lovely. It changed my life. And it is a beautiful life,” she says, her daughter Sailaima standing nearby, smiling shyly. Next stop Fatima Hammoud and Khalil Sleim’s home, which was connected to their small mini-mart, tucked into a maze of muddy alleys. Fatima was pulling herself into her wheelchair when we arrived. 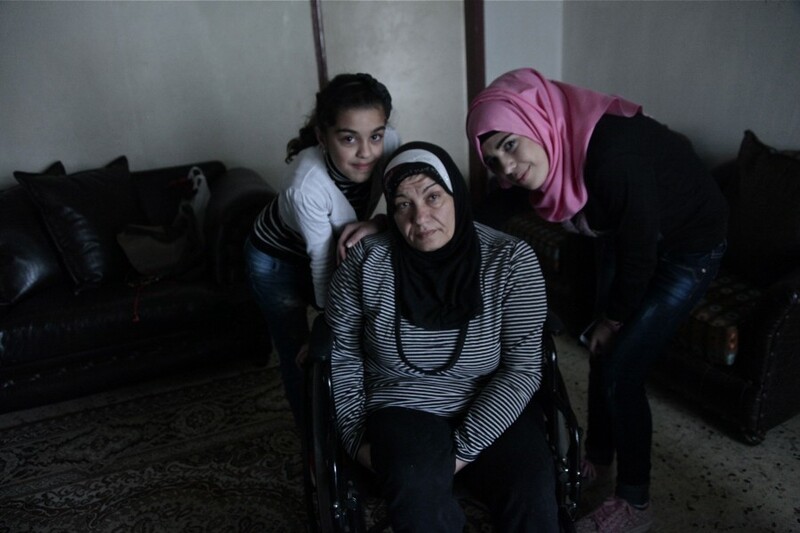 As we sat in the salon with two of her three children, Mariam, 14 and Mahmoud, 12, Fatima laughs as she talks about neighbors’ inability to understand why it is not difficult for her to live her life and raise her three children. “I don’t listen, I know in my heart I am a good mother. I believe in myself and I don’t care what anyone says about me,” she says. 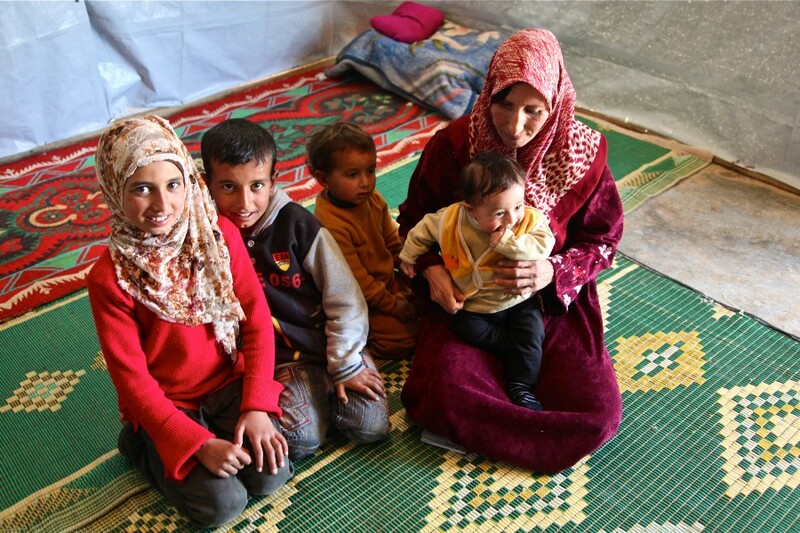 Fatima, 43, lost the use of her legs and has spinal problems due to polio as well. She says that since she got married and had her first child 20 years ago, the mentality of people has changed. In general, people know more, but there is still discrimination. What helps her most, aside from her own sense of self and help from her children, is the love and support of her husband, Khalil. “My husband helps with the washing and cleaning the house. He is my right hand. Some people have said to him, ‘How can you live with a woman with a disability? It is not right, she won’t be a good woman, she won’t be able to take care of you.’ He doesn’t listen to them and I don’t. He loves me very much. He is loyal,” she says with a smile. 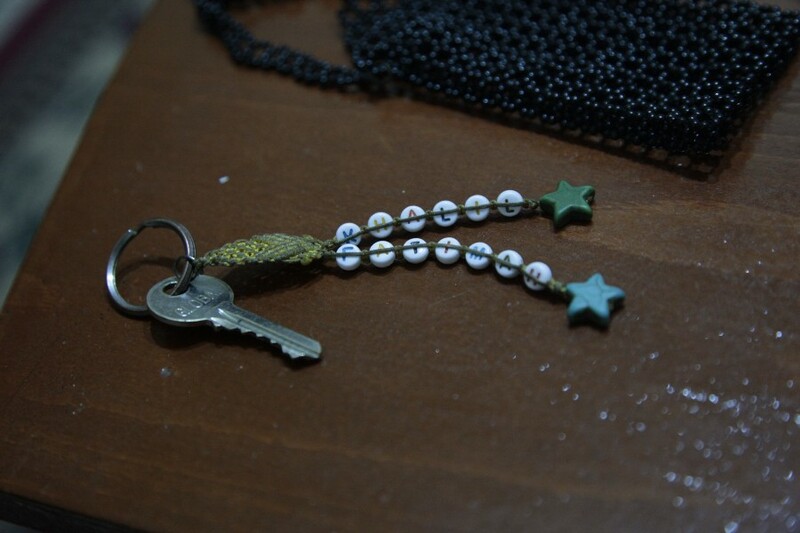 Her keychain, made with the materials she uses to make bracelets to sell at the center, is on the table. It has two strings with names spelled with beads on each one: Fatima and Khalil. The last visit was at Fatima Salman’s home on the ground floor of an apartment building. Fatima, 39, is married to an Iraqi man, Haydar Bahrani, and they have one child together, Hussein. 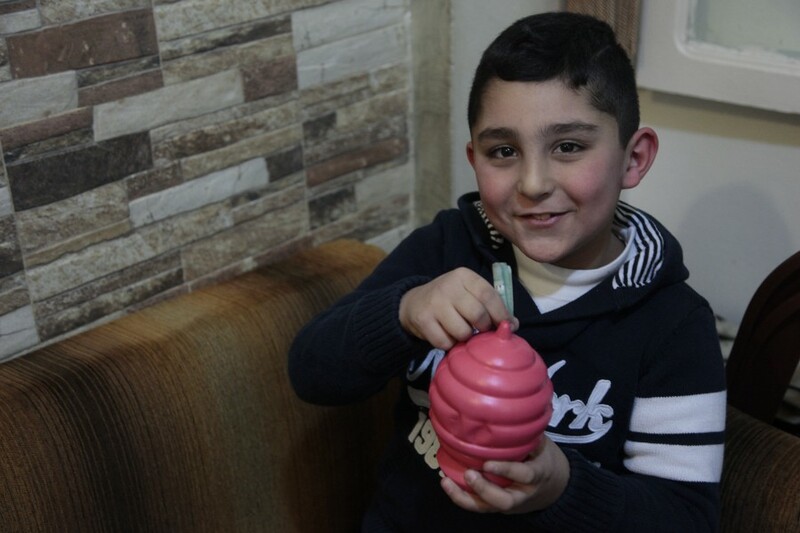 Hussein is seven years old and the light of his mother’s life. It is a small but warm home, and the feeling of love inside is tangible. Fatima first met her husband, a plumber, when he came to work at her parent’s house. “It was love at first sight,” she says. Her family did not support her when they decided to marry, not only because he was Iraqi, but because they thought he would quickly leave her. Though her son Hussein does not have Lebanese citizenship — Lebanon has a law that allows only men, not women, to pass on their Lebanese citizenship if they have a child with a foreigner — Fatima says it has not caused her son issues. However, the fact that Haydar is Iraqi has made finding consistent work difficult. “Now my life is difficult because my husband cannot find work. But when I look at my son, I forget everything and life is good again. I didn’t believe I would able to be a mother. I am so happy,” she says. 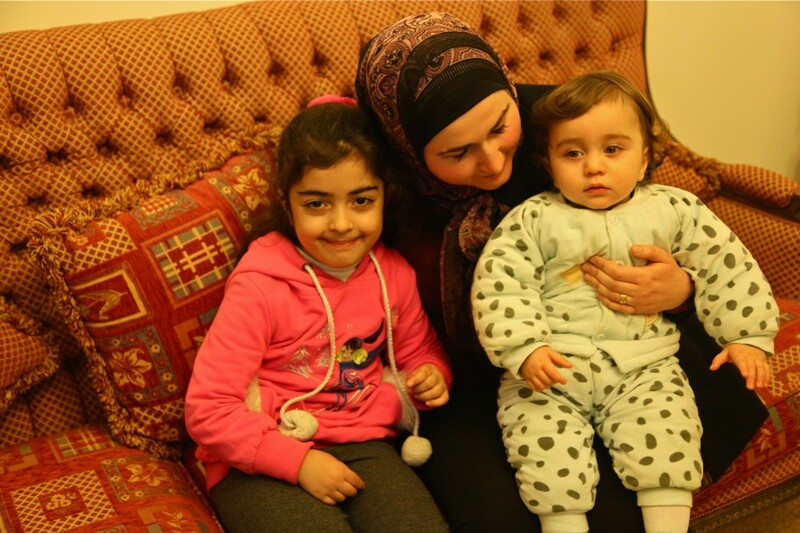 Hussein loves his mother and it is his favorite thing to do to help her however he can. He says that he will become a doctor when he gets older, so he can keep helping people. 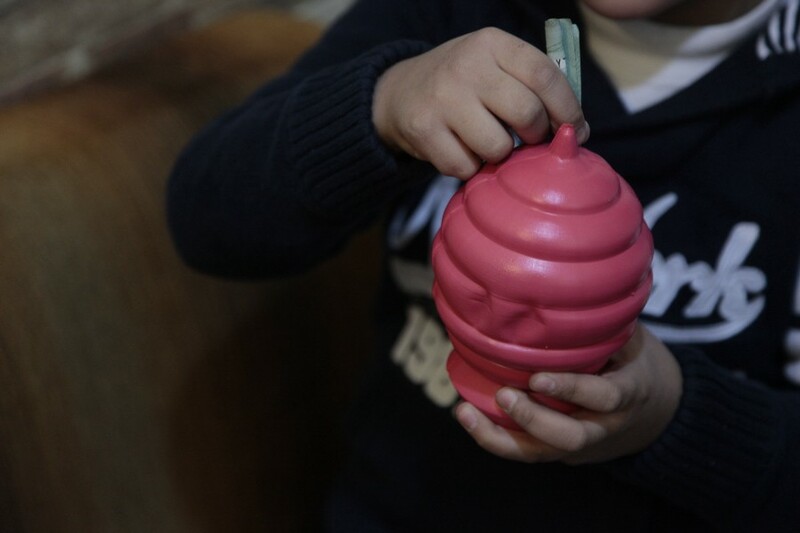 With a sweet smile, he pulls out a red plastic bank where he is saving his money to buy his mother a surprise gift for Mother’s Day and puts 1,000 Lebanese pounds inside. The United States of America has a more organized and supported system, but one that can take society’s bias against parents with disabilities and turn that into legal action that can separate families for a time, or even permanently. Though the comprehensive report, “Rocking the Cradle: Ensuring the Rights of Parents with Disabilities and Their Children,” written by the National Council on Disability (NCD) in 2012 states the number of parents in the United States with a disability are estimated over 4.1 million, Robyn Powell, author of the study and attorney advisor for NCD, cautions that it is an underestimated number that will only increase. It has been 25 years since the American Disability Act was passed and people are much more independent than they once were. The next natural step is to want a family, she says. She points out that there are also a significant number of people returning home from war with a service-connected disability that is fueling an increase as well. But an increase does not mean there has been a complementary increase in protections for the rights of those parents. “Mainly there is state legislation and state laws that allow termination of parental rights based on disability and that’s usually intellectual or psychiatric, but there are some states that also include physical. Moreover, every state when they are looking at custody matters, they always invoke what they call ‘best interest of the child standard,’ which is a really subjective standard which almost always allows a parents disability to be brought into question. This happen even if there are no issues, this happens all the time, where there are parents who have their children removed by child welfare when they’re still in the hospital right after giving birth,” Robyn says. Indeed, this happened to Erika Johnson and her husband Blake Sinnet after their child was born in 2010 in Kansas City, Missouri. Their then two-day-old daughter, Mikaela, was taken into custody solely because both of the parents were blind, and there was a fear that the parents would not be able to care for their daughter. It was 57 days until they got Mikaela back, during that time which they were only able to see their daughter a few times a week under hourly visits in the presence of the foster mother. Now that they have Mikaela back, Erika says that being separated from her baby nearly at birth has changed her parenting forever. “I think it has made me a better mother. Because I know the loss of a child, I appreciate her more. I appreciate the little things. Little things resound more for me,” she says in a phone interview. Photo courtesy of Erika Johnson. Erika emphasizes that she thinks the best way to bridge the gap between non-disabled and disabled people is positive education and communication, and she has a message for all of the mothers around the world, fighting for their right to have a family. This poem, written by one of my favorite poets, Rainer Maria Rilke, is one that I think for any person who has traveled much and returned to a place where many never leave, rings deeply true. to me the distant is reality. and all their words have got the common tune. but here they hold their breath, as if for shame. I came across this project on Slate and I thought it was such a cool idea, especially in light of it being National Library Week here in the United States. The portraits, captions and story are beautiful and show a different kind of librarian that we are used to seeing in movies or reading about in books. It is something that is really important to understand, the contribution that librarians make that people don’t think or know about, so that communities and those who control funding can understand why they should support this institution. Go through the photos and full story here. Happy National Library Week!